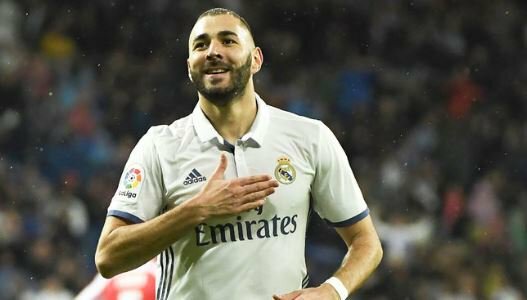 The European champions Real Madrid are considering to cash in on Karim Benzema this summer, the news alerted long-standing potential suitors Arsenal, whose boss Arsene Wenger has been strongly linked with a move for the 29-year-old striker over the last couple of years. The France international to the Gunners is a rumour that seems to have been in news since few years ago and just won’t go away. But now fresh reports from The Sun have suggested, that the deal could finally materialise at the end of the season. The Frenchman is struggling for form at the Bernabeu this season, and it has been suggested the attacker will look out for a fresh challenge elsewhere, and the north Londoners outfit would be the ideal choice. Real manager Zinedine Zidane won’t stand on Benzema’s way either as he looks to strengthen up his strike force at the end of this campaign, with the likes of Sergio Aguero from Manchester City on his radar. Benzema will not be available on cheap though, and the Premier League giants will have to splash out somewhere in the region of £50m to secure a deal for the former Lyon star.